Yeah, I'll do you one better, who is Ordo? I'll do YOU one better, WHY is Ordo? Ordo the Orange has been spotted all around campus, promoting the release of Humor Whore's latest comedy film. 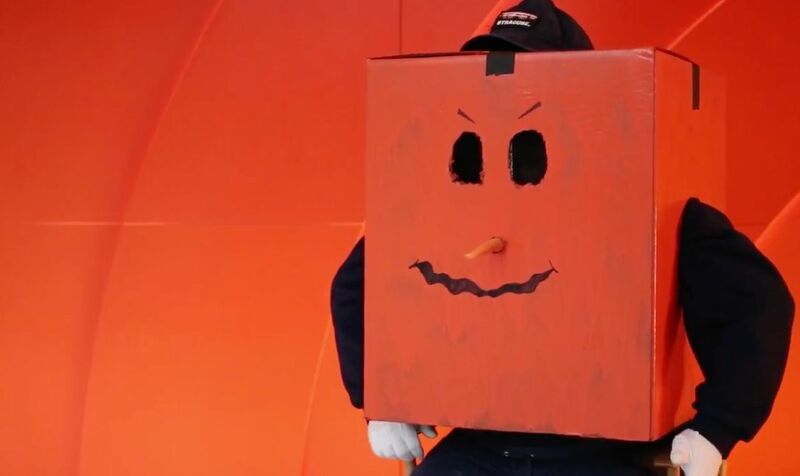 The orange, box-shaped mascot with the carrot nose has been running around, flipping people off, forcing them to snort orange zest, and bringing a negative, but hilarious, attitude to campus. 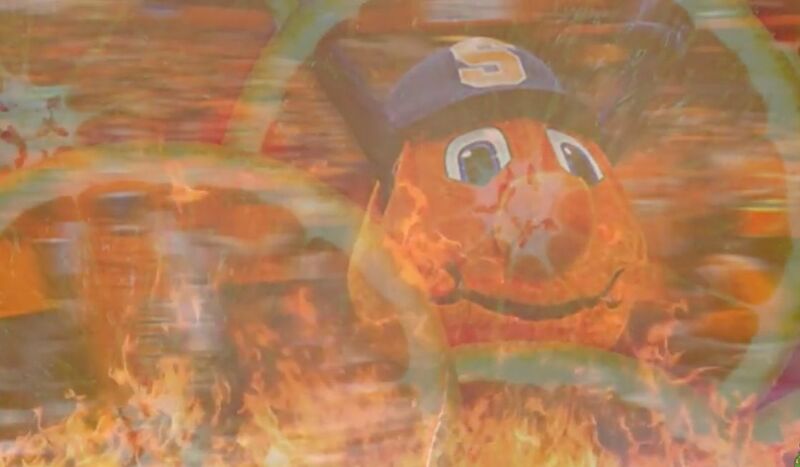 Ordo the Orange wanted to be Syracuse University's #1 Orange, but instead, Otto received the position (by a landslide). Now he's bitter and has used his bitterness to morph the loving ideals of Otto into hatred and evilness. Despite his anger, he still believes that everyone loves him. In this mockumentary, Humor Whore follows Ordo the Orange as he asserts himself on the Syracuse campus. He slowly realizes that maybe he isn't as loved as he originally thought and resigns his anger. "Listen at the end of the day, it comes down to one of two things: the mascots we dream to be and the mascots we really are… because I am certainly not both", Ordo concludes in Humor Whore's film. Members of Humor Whore have described Ordo as the "Batman to Otto's Superman". Watch Humor Whore's "Ordo the Orange" now! Humor Whore is an on-campus organization dedicated to creating hilarious short films each semester. Past projects have included: We are the Orange, RENT-A-FRATBOY, and The Oskars.